Cacao has long been revered as the “food of the gods” due to its pleasant flavor and many health benefits. 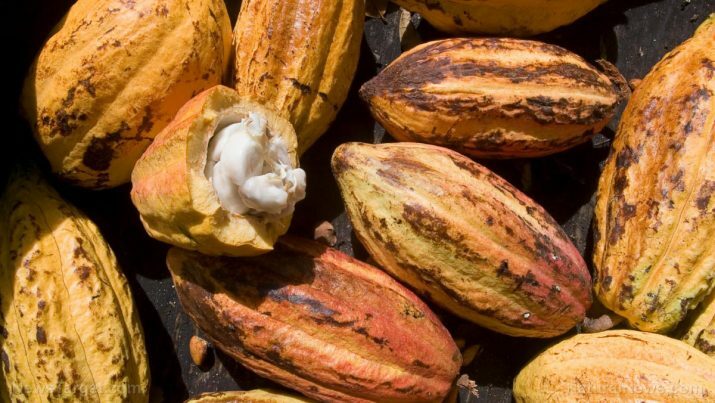 Cacao trees are native to Mexico and South America and are primarily grown in the Amazon Basic, Orinoco River Basin, Ghana, and the Philippines as well as Brazil, Papua New Guinea, Ecuador, Togo, and a few Caribbean islands. The seeds of the cacao fruits, also known as cacao pods, are commonly roasted and ground into cocoa. However, cacao beans can also be dried at low temperatures and broken into smaller edible pieces called nibs. Cacao is often considered a superfood and is best known for its beneficial effects on the body’s cardiovascular profile. An article posted on the Daily Superfood Love website notes that cacao contains as many as 700 polyphenols and anti-inflammatory compounds that reduce bad cholesterol levels, slash blood pressure rates, and mitigate the hardening of arteries. This, in turn, improves blood circulation and lowers the odds of stroke and other cardiovascular diseases. Likewise, researchers at the Department of Nutrition at University of California, Davis says that cacao possesses anti-coagulant properties that help thin the blood and prevent the onset of harmful blood clots. According to the experts, eating raw cacao might prove just as helpful as taking an aspirin a day. Cacao is also an excellent source of flavonoids that are found to interfere with the development of cancer. According to a study that was published in 2002, the anthocyanidins in cacao helped reduce the incidence of chemically-induced pancreatic and breast cancer in animal models. Likewise, a 2009 research has shown that the superfood may lower the odds of developing cancer and improve the condition in those who already have the disease. Cacao is beneficial to the brain, too. The superfood has an abundant supply of four anti-depressant chemicals — serotonin, dopamine, anandamide, and phenylethylamine — that promote positive feelings and alleviate depression. Cacao consumption is also associated with improved memory and increased blood flow to the brain, thus reducing the risk of Alzheimer’s disease onset. The superfood is touted for its digestive benefits as well. The high fiber content in cacao is found to stimulate enzymes in the gut and facilitate digestion. Cacao is also known to boost insulin sensitivity and reduce insulin resistance in impaired glucose tolerance. The ample magnesium supply in cacao is also shown to effectively regulate the blood sugar levels in the body. Cacao is also known to improve bone health, metabolism, and kidney function. Likewise, the superfood is shown to relieve skin disorders, premature aging, cough, and fatigue. Cacao improves heart health and the body’s overall blood circulation. The superfood is also essential in keeping the brain, guts, and kidneys in top shape. Likewise, cacao helps maintain healthy bones, metabolism, and immunity. Cacao is primarily used in a variety of baked desserts such as cakes, muffins, puddings, and breads. Likewise, cacao is a commonly used ingredient in beverages such as hot drinks, smoothies, cocktails, and coolers. Cacao nibs are also an excellent addition to various salad recipes. The Daily Meal website has curated many interesting recipes that use cacao. Cacao prevents heart disease, cancer, and diabetes. Cacao keeps depression and Alzheimer’s disease at bay. Cacao staves off skin disorders, premature aging, cough, and fatigue. Cacao improves heart health and overall blood circulation. Cacao maintains healthy brain, kidneys, and digestive system. Cacao improves metabolism, bone health, and kidney function.